Cycling has always been an effective, energy-efficient, and affordable means of getting from one place to another. No wonder then that bicycles continue to be used extensively by millions of people around the world for daily commutes, maintaining health, and for participating in sporting meets. Though there are nearly 18 distinct types or categories of bikes, 3 kinds of bicycles are used heavily all over the world-road bike, mountain bike, and hybrid bike. 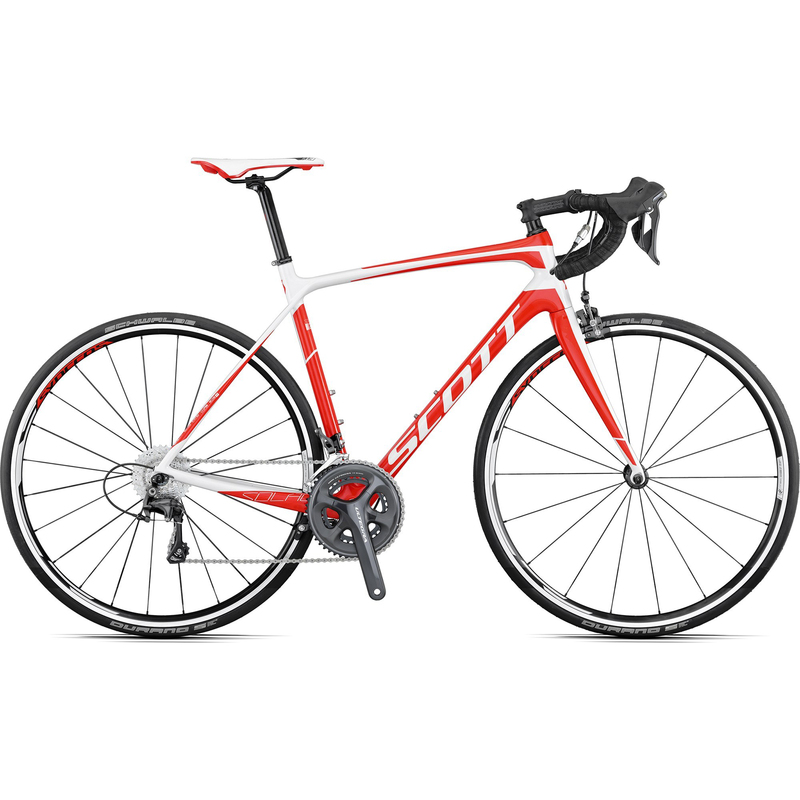 Talking about road bikes, these are usually classified under two broad sub-categories-endurance bikes and racing bikes. Racing bikes are designed aerodynamically that allows the cyclist to crouch forward or bend backwards as and when necessary for minimizing wind resistance while riding. On the other hand, endurance bikes are equipped with a drivetrain, handlebar, and seat that enable the bicyclist to remain upright and steady, especially on long rides without compromising on stability. A road bike is specifically designed with a single objective and that is the cyclist should be able to cruise as well as should feel comfortable riding the two-wheeled bike. The frameworks of road bikes are fabricated using lightweight materials, like carbon fiber or aluminum and the tires tend to be slim, lightweight, and wide with tread patterns that checks friction, particularly on metalled roads. The rider is able to position himself on the seat in such a manner so that greater force is transferred to the legs for dynamic pedaling. Lightweight and compact-Road bikes generally happen to be less bulky than men’s mountain bike or a hybrid bike. The lighter the frame, wheels, drivetrain, handlebar, and other components, the more lightweight a road bike. Easy to repair and supremely serviceable-Road bikes usually come with components that are easily serviceable as well as replaceable. Nevertheless, whether you’ll be able to repair a road bike or replace a defunct or dysfunctional component will depend upon the brand you’re using. The profile or structure can make riding uncomfortable-Majority of road bicycles have a drivetrain and seat that is ideal for cruising. This feature is both an advantage and disadvantage as you may be able to pedal speedily but the riding position could sometimes hurt the inside of your thighs and buttocks. 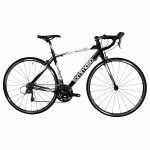 The Scott Solace 20 Compact Ultegra Bike is a performance-oriented road bike featuring a carbon fiber frame and Shimano Ultegra 50/34 gear ratio designed for riding comfortably even at high speeds. The Scott Solace 20 Compact Ultegra is relatively lightweight weighing about 7.66kgs and comes with wheels that having alloyed clinchers, wide rim, minimal spokes, and Shimano Ultegra brakes. The stem, seat post, and saddle built by Syncros allow the rider to seat stably without sacrificing comfortableness while cruising. Schwinn is a well-known manufacturer admired by bicyclists the world over as it regularly comes out with high quality road bikes. The 1600 Men’s Road Bike 700c Wheels, 56 cm frame is a shining embodiment of the high level of craftsmanship achieved by Schwinn. These road bikes for sale have aluminum road frames with forks chiseled out of carbon fiber. 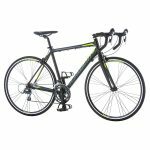 This road bike features a Shimano Claris 16-speed gear incorporated with Micro shift brake lever system. The dual pivot brakes made of Promax alloy provides excellent braking force. If you’re looking for a road bike that’ll remain in effective service for years on end, go for the Tomasso Emola Compact Aluminum bike. This bicycle comes with a compact chassis made from aluminum and a road fork chipped out of SST steel. The drivetrain is made up of 12 x 25T Claris cassette, Shimano 30/39/50T Claris crankset, and 3 x 8 Shimano Claris groupset. The immaculate frame geometry together with the TRS ultra light handlebars enables you to pedal effectively and ride comfortably. 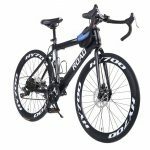 The OPATER Racing Road Bike offers good value for money as it features a hardwearing carbon steel frame and a fork shaped out of aluminum alloy. The tires are fully anti-skid which offers good tread when riding on a range of road surfaces. The bicycle boasts of a 24-speed gear groupset which offers you unparalleled cycling experience every time you take it out for a ride. 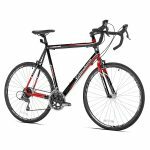 The Giordano Libero 1.6 Men’s road bike 700c perfectly combines drop dead looks with functionality. The frame has been handcrafted from lightweight 6061 aluminum and equipped with 16-speed derailleur and STI shifters that coordinate with 50/34 compact crank set the Giordano Libero climbs elevated tracks smoothly. The 700c aluminum wheels are perfectly round with tread patterns for checking friction and slips. 5 of the best road bikes were reviewed against a set of quality parameters like the frame structure, derailleur system, tire size and tread, handlebar construction, and so on. 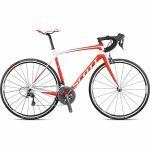 The Scott Solace 20 Ultegra road bike was found to be the best amongst the lot and accordingly was priced higher than the other models. The other road bikes-Schwinn Phocus, Tomasso Emola, OPATER, and Giordano Libero were also found to satisfy the basic criterions of a standard road bike.